Bilal Brown, 38, imam based in Oldham. Photographed in July 2017 outside his house. “After I finished secondary school, I was just hanging around and getting up to no good. Cars, selling drugs, fighting. Maybe it was just because of a lack of opportunities. My mentality was: I don’t care if I die. My family’s from the West Indies – my father’s from Jamaica, my mother’s from St Kitt’s. I was born in Manchester and we moved to Oldham when I was eight. I was always curious about Islam, from Malcolm X and hip-hop culture as well. People like Mos Def and Tribe Called Quest would speak about it. When I was 19, I went to a bookshop and bought a Quran. It opened my mind to a lot of things. A year later, a Muslim missionary knocked on my friend’s door when I was there – the house was next door to a mosque. If you want, you could say it was chance. But we don’t believe in chance, we believe in predestination. I formally declared my faith with him there and then. I gave up alcohol, gave up drugs, changed my diet, got married. My mind was clearer, more focused. More peace of mind, peace of heart. 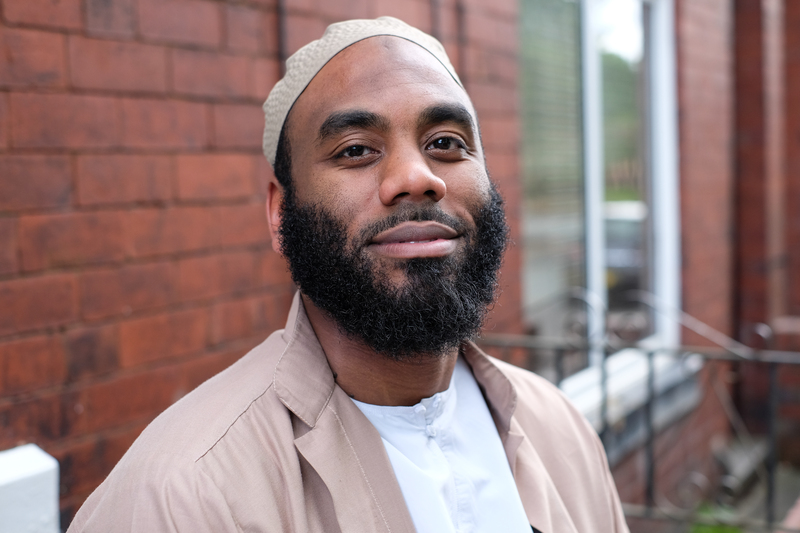 I’m now a freelance imam, you could say – I teach Islamic studies, lead prayers when the regular imam is away, and run a website called FiqhAnswers.com where Muslims can send in questions about their faith. There’s a lot of trash and incorrect opinions online. I wanted to counter that.